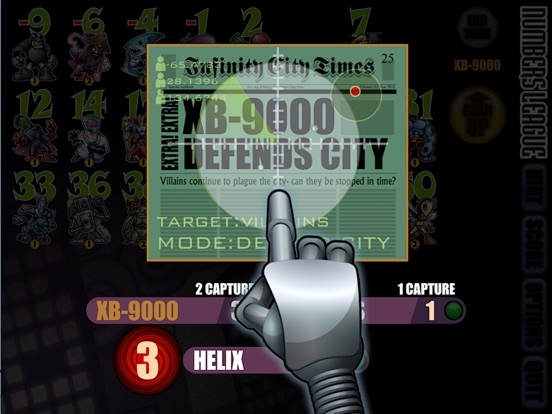 Kids can harness the power of superheroes as they set out to conquer the villains of Infinity City in Numbers League. Playing either as a single player or with up to three other players, kids put together teams of superheroes to help defeat the villains. Each villain has been assigned a number. 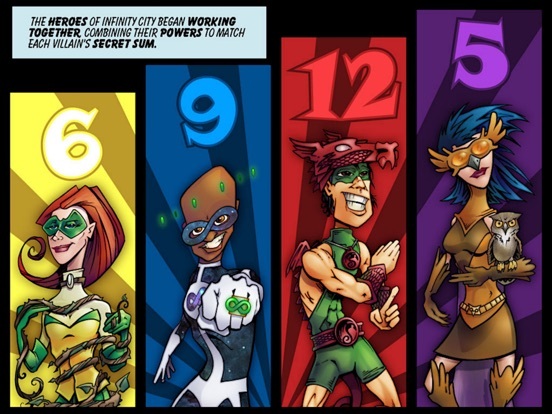 Each superhero has also been assigned a series of numbers. 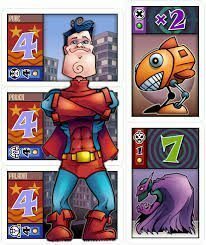 Kids must combine the superheroes’ numbers in different ways to make the numbers of the villains and help capture them. As the levels advance, kids must combine more superheroes and solve more difficult problems to conquer the villains and finish victorious. Kids will feel as if they’re about to embark on an adventure from the moment they hear the background music when they open the app. They’ll get to watch an introduction to introduce them to the story and help them learn about the individual superheroes. From there, tutorials will show them how to play the game. The options screen allows kids and parents to control factors such as the speed of play, the background music, and how much hints cost. Rather than simply giving kids a problem to solve, Numbers League leaves it up to kids to figure out what the problems are. The villains represent the solutions and the superheroes represent the other parts of an equation, but kids must put the pieces together. This unique approach helps kids build their problem solving and critical thinking skills as they make plans and put together the pieces to help defeat the villains. Not only will kids learn a lot about math, they’ll also have fun interacting with the various superheroes and feeling like a superhero themselves as they defeat the villains. 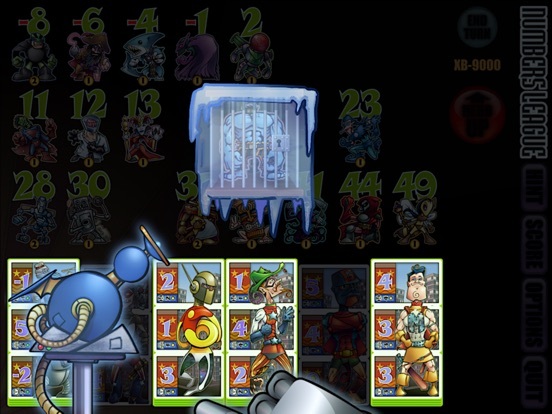 For younger players, the game can be a bit more frustrating than entertaining as they work to figure it out, but longer time limits and a bit of practice will keep it from becoming overwhelming. Kids get 6 levels of increasingly difficult play, as well as the ability to create player profiles and play games with up to 3 other players on the same iPad. This allows more kids to experience the fun of the app at once and brings a bit of competition to the game to help motivate them. 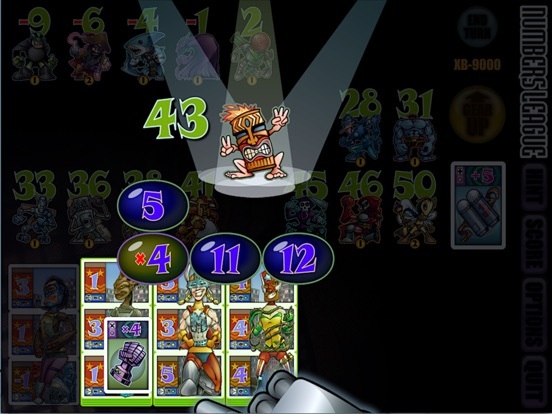 Along with an introduction which gives kids the story behind the game they’re about to play, Numbers League provides kids with a tutorial to help them learn how to play the game. While kids will eventually figure it out on their own, watching the tutorial will help get them into the game. Changing the options to slow the pace of the game and increase how much time kids have for each turn will also make it easier to get a handle on the game, ensuring kids will experience more success.